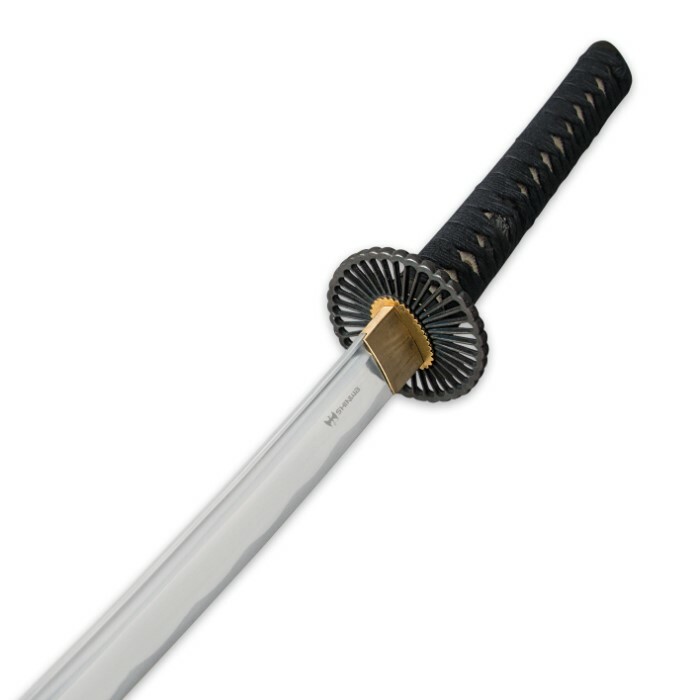 Shinwa Warrior Creed Black Katana | BUDK.com - Knives & Swords At The Lowest Prices! 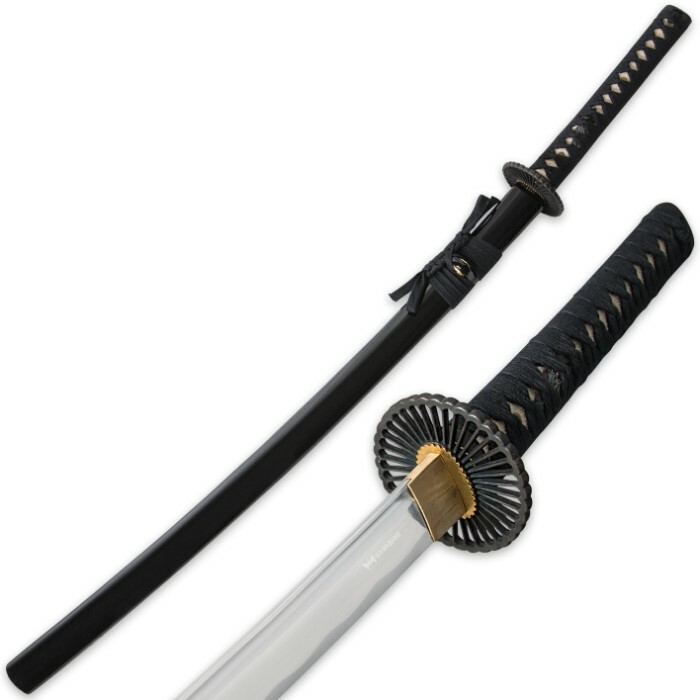 The Warrior Creed Katana is a sword to be reckoned with, unleashing its power on whomever wields it. 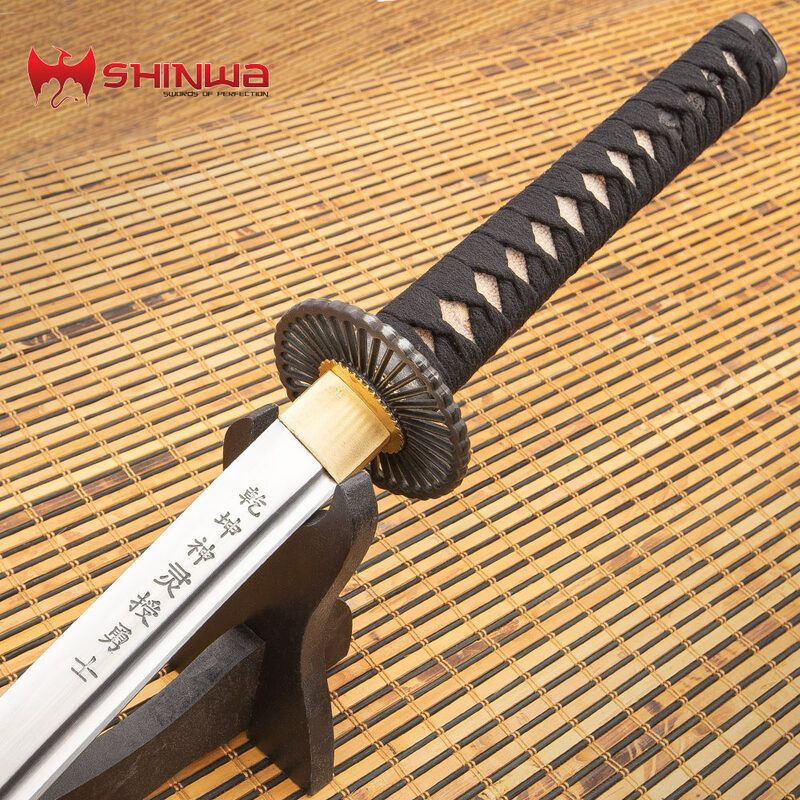 Sleekly and smoothly the 28” carbon steel blade draws from the black lacquered wooden scabbard. The blade bears the Warrior’s Creed. The tsuba is cast metal and the wooden handle is wrapped in real fish skin with a traditional black cord wrap. 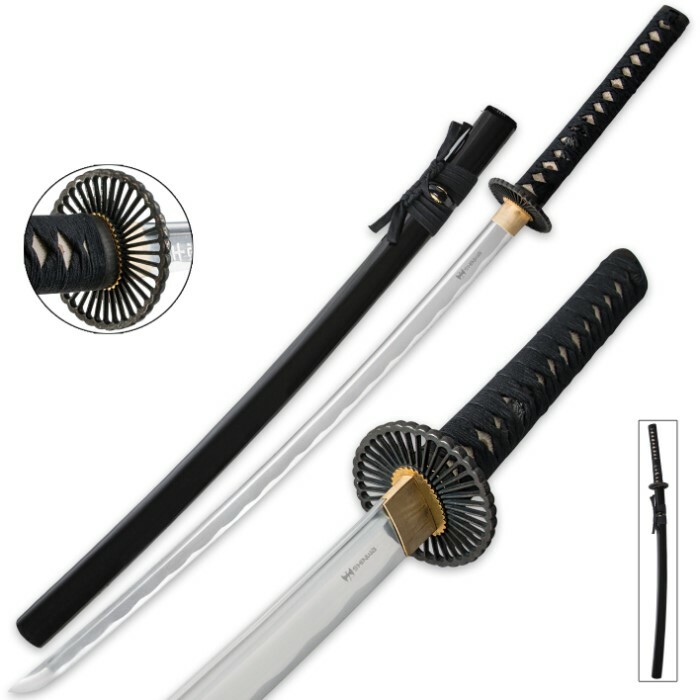 The katana is full-tang with an overall length of 40 3/4”. Unleash the power of this incredible blade today! Bamboo stalks and water bottles would run if they could. Nice sword for the money.